Few storage units are as versatile, sturdy, and stylish as chests & bases. 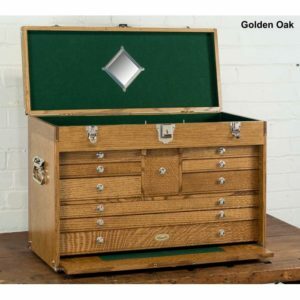 Particularly in the USA, chests are a specific craft that are distinguished by their superiority and sleek design. Rubber feet, least of all, shouldn’t be sidelined when making such useful pieces of furniture. H. Gerstner & Sons, for example, is a family-owned business that has operated since 1906. They trust Budwig for their bumper needs because our American-made products match their own standard of excellence. Don’t miss out on what Budwig can do for you and your company, get in touch today! Our team is available by phone and email to answer your questions.